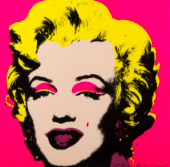 This is a famous work by the Italian artist of the post avant-garde Riccardo Gusmaroli. The Volcanoes are a collection created in 2015 by Gusmaroli, published by the North East archive. The authentic is signed by the artist, edited by Archivio Nordest, at page 87. Besides the artwork is part of the artist's archive, and has the number 065. Volcanoes, mixed media on paper by the Italian artist Riccardo Gusmaroli. "each material is a cue to perform any work. The infinity of material available allows me to work on several fronts, so as to better understand the people what I'm doing"
The artistic vortex, made by Gusmaroli with boats's paper, invade the space and bring the viewer to go beyond the mere visual data, bringing it playfully at the beginning of a journey. The artist began his career in the art world as a photographer of architecture, and the subject matter is revived in all its production: aforementioned boats, stamps, maps of the city, nautical charts, which produce mixandosi Gusmaroli what he heard, connected, associated in the crevices of his artistic career, life, travel. Despite being very close to Italy, and this is evident for example in the work "Italian Gold", he has exhibited in 1993 at the Galleria Sperone in NY, in 1999 at the Studio Simonis Brussels and Victor Saavedra Barcelona, while in 2000 he returned to the Studio Simonis but this time in Paris. Freedom, marked by what is in his work, is proposed in the area used and the delicate texture of his collages. 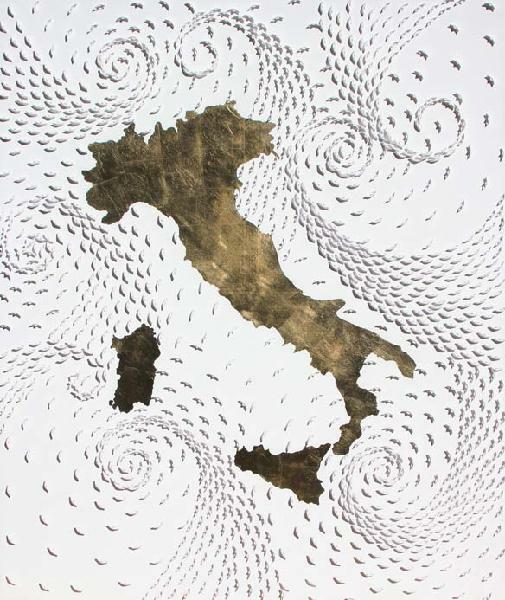 Riccardo Gusmaroli, "Italia d'oro", 2009.